Size 13' 7" X 9' 10"
If you ever feel nostalgic about the ancient arts, then you must learn about rug weaving and the creation of the textile greats-Iran rugs. Imagine the giant spinning looms being used by ancient tribesman as they hand wove these unique and finely detailed rugs. These craftsmen have been perfecting their trade since the earliest centuries. Merchants and traders would travel the famous Silk Road taking these masterpieces with them and introducing them to the Western world who immediately understood their beauty and value. 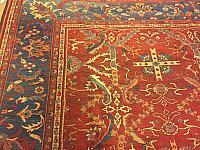 Many varieties and types of these antique Oriental rugs can be found at Aviram Aziz, Inc, a place with collections of the finest Antique and Decorative Rugs. Iran, known as Persia until 1934, is really the birthplace of Persian rugs. Other locations such as Pakistan, India and China make Persian design rugs essentially based on these ancient patterns. Iran rugs are as a diverse and unique as the regions within this mountainous and desert rich country. 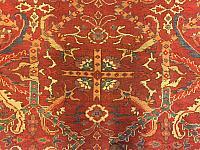 Some Persian rugs were designed and made by small villages and nomadic tribesmen. 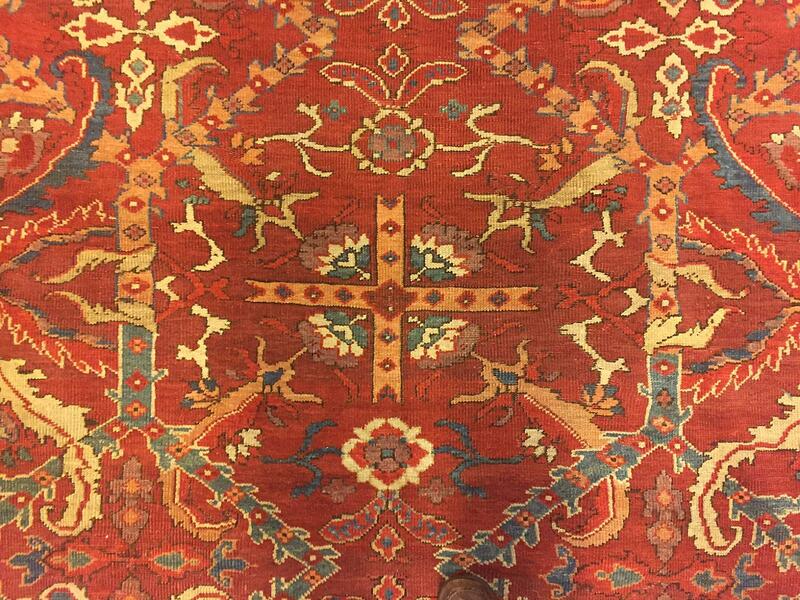 For example, Herez rugs, hailing from Mount Salaban villages, are known for their classic medallion designs and bold colors. In addition, these wool rugs are especially hearty and durable due to unusually high amounts of copper in the soil that ends up in the sheep’s wool used in creating the rugs. On the other hand, many Iran rugs are finely made with wool piles with silk inlay. 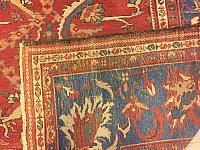 These include rugs from Isfahan, Tabriz and Qum. In fact, Tabriz rugs are known for there Herati patterns- a finely detailed central motif that resembles a fish. If you would are in the market for an Iran rug than you are in the right place at Aviram Aziz, Inc. Our knowledgeable staff has expertise in the rich history of antique Oriental rugs. We have excellent knowledge of the different regions, materials and overall quality of our rugs. 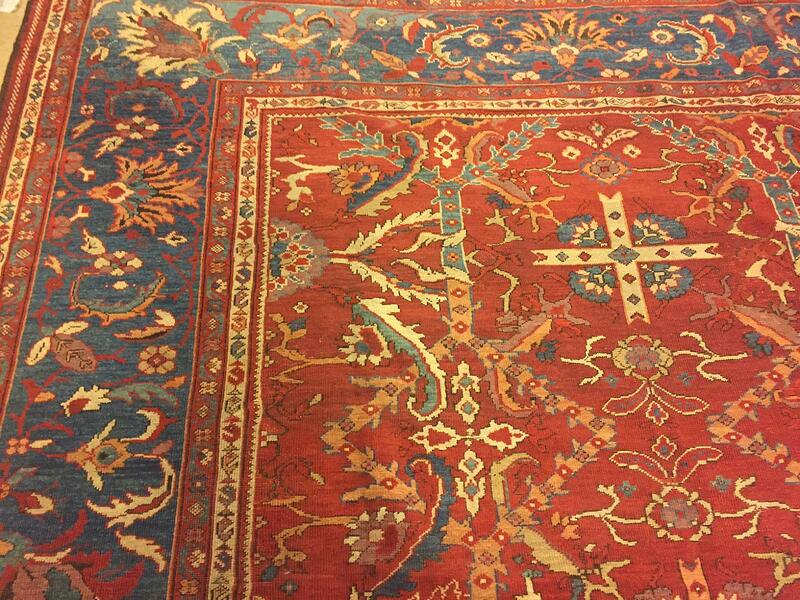 Selecting an antique rug does not need to be an overwhelming or intimidating endeavor. In addition, there is a wide variety in costs and selecting an affordable rug of high quality from our selection should be an easy task to accomplish. 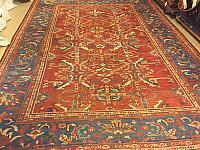 Aviram Aziz Inc. has many different types of rugs from Iran and other areas that make Persian design rugs. We are proud to carry a large selection of antique rugs including Persian, Indian, Turkish, Caucasian, Chinese and European rugs. Iran rugs are some of the most beautiful and intricately designed textiles and can complement many home styles. The variation in colors from soft pastels to rich bold hues will work in many different homes. These rugs will last generations and easily be passed down as family heirlooms. 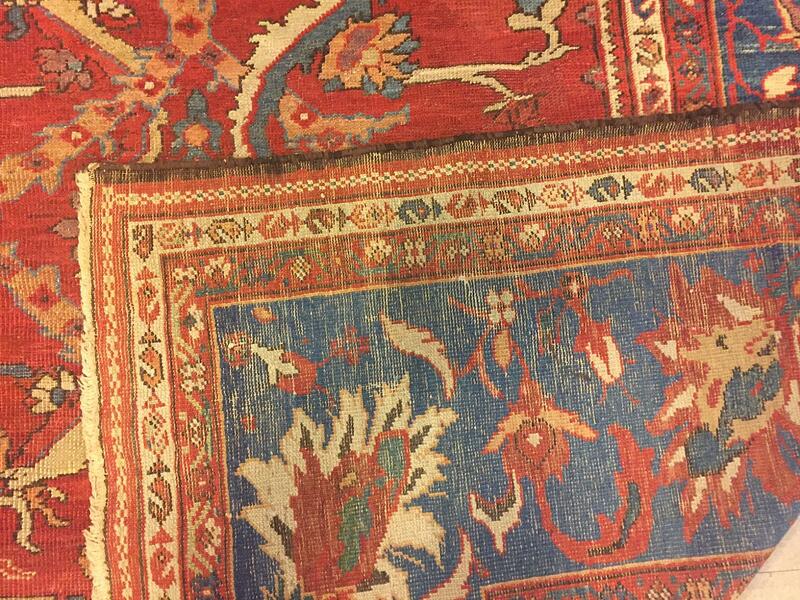 Aviram Aziz, Inc has a wide selection of antique carpets to choose from and specifically covers Aubussons, Heriz and Serapi, Lavar and Kerman, Sarouk, Sultanbad, Tabriz, Oushak and Tapestries. If you are interested in learning more about these works of art, our experts at Aviram Aziz, Inc are happy to answer any questions and guide you with your selection. Iran rugs have been around for many many centuries and are admired for their rich designs, complicated patterns and bold color palettes. © 2012 Aviram Aziz Inc. All Rights Reserved Worldwide.